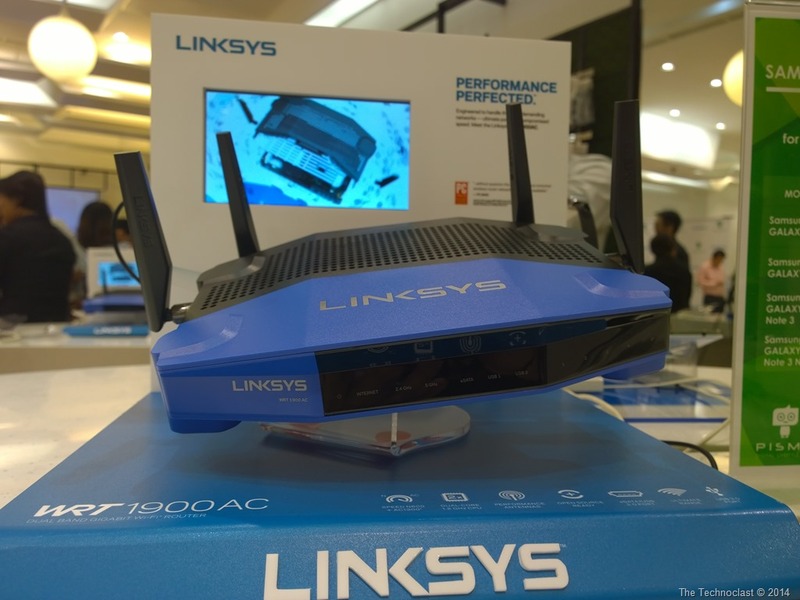 Linksys has just launched their best consumer router in the market – the WRT1900AC. And if it looks a lot like a tank or a Gundam robot, that’s because it is. With four external antennas – all user upgradeable; Gigabit WAN & LAN ports; 802.11ac WiFi (supports a/b/g/n); eSATA & USB 3.0 ports; plus a powerful 1.2Ghz Dual-Core processor and 256MB DDR RAM + 128MB flash memory, you’re getting everything you need for the highest demands in home networking. Plus if you can recognize that classic form factor, its offers the same Open Source firmware upgradeability as the legendary WRT54G – the largest selling router of all time. Consumers looking for the biggest, most powerful router around definitely have something to look for in the WRT1900AC. It may be a little pricey, but the fact that it can be modified by the open source community will allow for even more features and robust functionality later on. Plus having those 4 antennas will guarantee the best MIMO coverage in your home. If you have to have the best, grab this bad boy. The Linksys WRT1900AC is available now at Pismo Digital Lifestyle Concept Store, Octagon, Complink, Villman, PC Express, & Silicon Valley. We saw one recently for PHP 12,999 so you can probably find a bargain out there if you look.